Tissue Culture Plate is transparent with lid. Its is made of optically clear, Non-toxic Polystyrene. 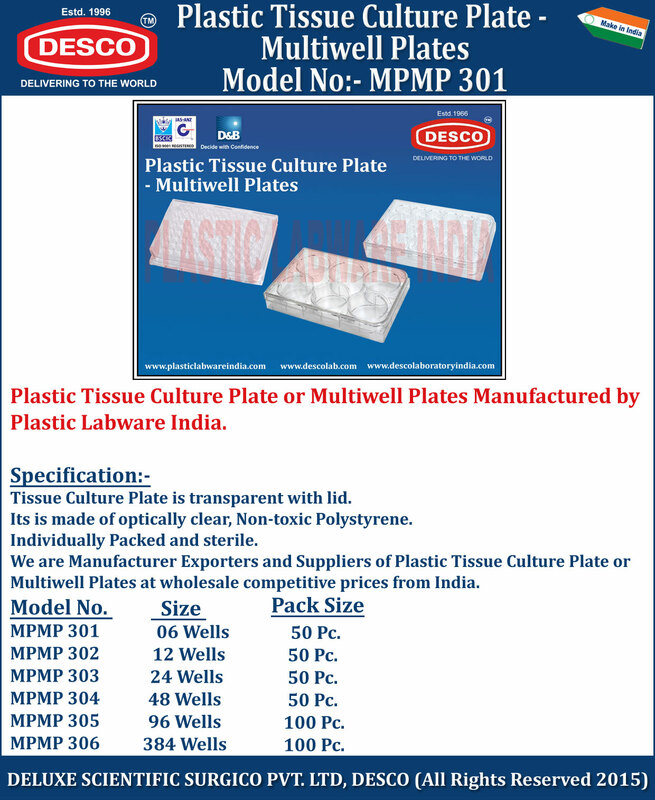 We are Manufacturer Exporters and Suppliers of Plastic Tissue Culture Plate or Multiwell Plates at wholesale competitive prices from India. MPMP 301 06 Wells 50 Pc. MPMP 302 12 Wells 50 Pc. MPMP 303 24 Wells 50 Pc. MPMP 304 48 Wells 50 Pc. MPMP 305 96 Wells 100 Pc. MPMP 306 384 Wells 100 Pc.